The Duchess of Cambridge met with scouts on Thursday during a trip to the movement's headquarters in north-east London. 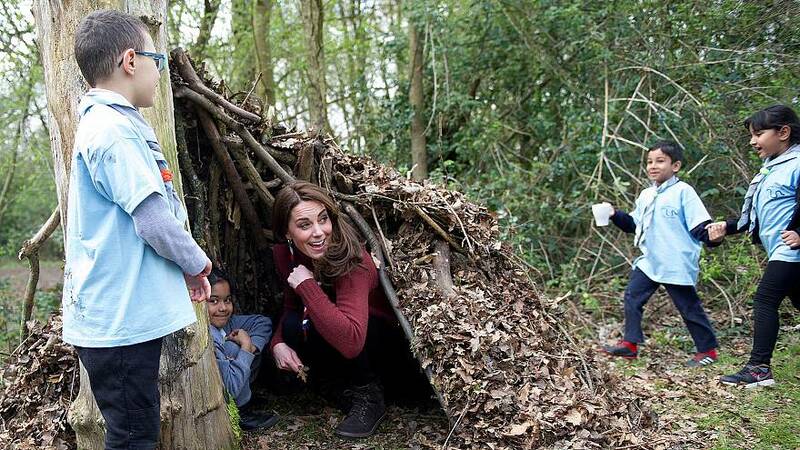 While there, the Duchess planted a tree, joined children in hand-painting activities, and crawled inside a den made of branches and leaves. The Scout Association is celebrating 100 years at its Gilwell Park home.